If you’re a fan of crisp instrumentation and soothing vocals, you must give Henry Jamison a listen. In fact, you may be familiar with his tracks already since his emotional yet calming music has been featured on a number of appropriately themed and popular playlists. Gloria Duplex hits stores today via Akira Records and as Henry tells Billboard the album is “a reckoning with my own childhood and the culture of manhood.” That artists knack for words helps illustrates each of his stories especially while paired with a full-bodied melody. Find the poetic artist on tour this spring and uncover the deep themes confronting toxic masculinity within Gloria Duplex. The sophmore release from Hajk, Drama is out now via Jansen Records. The band tells Earmilk, “The title was the first thing we came up with… We wanted a name that allowed us to put all kinds of drama together in one album and let the songs feel honest and take us where they wanted to go.” The group nailed it. From one song to the next, and with multiple vocalists, you get a real taste for a variety of emotions and genres. Sadness, fear, joy and anxiety, Hajk are able express themselves without conforming to the expected. Instead, you can hear their many influences including pop and R&B artists like Solange, Frank Ocean and Thundercat. 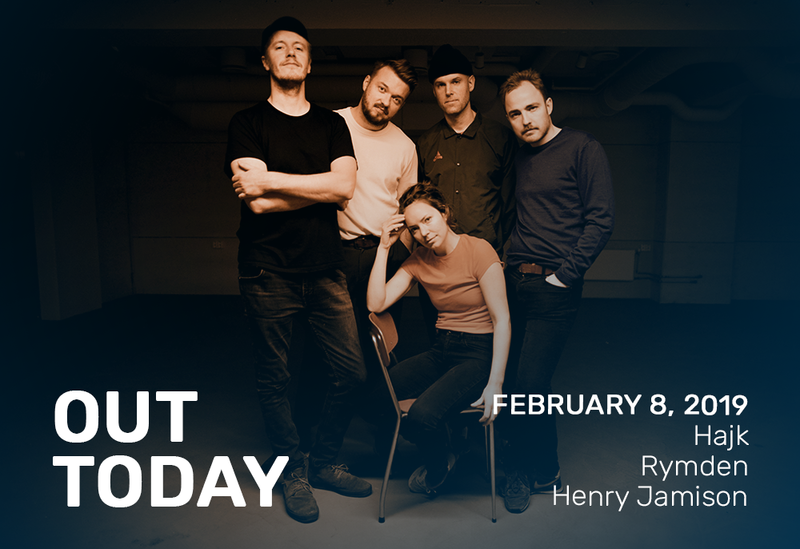 When you combine award-winning pianist Bugge Wesseltoft with the skillful Magnus Öström and Dan Berglund, you get Rymden, a groundbreaking trio. The group have have become united under one common mindset: that music is an artistic form of free expression. Their newest creation, Reflections and Odysseys hits stores today via Wesseltoft’s own, Jazzland Records. The album is just as the title describes: a collection of experimental, and mystifying European Jazz with an unmatched energy. The jazz supergroup, were recently featured on the cover of Jazzwise where they describe their formation and inspiration. The band name and album are all thematically linked to outer space and with influences routed in progressive and classic rock played out on piano, bass and percussion. Rymden have certainly developed a sound that is out of this world, with Reflections and Odysseys. Thanks for reading. Until next time, keep listening.